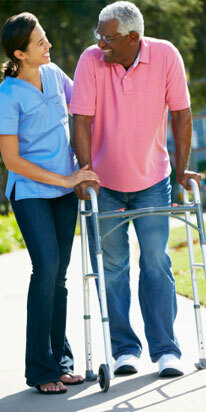 As a full service home services agency, All Trust assumes all responsibilities for its employees. All Trust Caregivers are carefully screened, beyond what is required by law, to ensure that our clients’ trust is well-placed and well-deserved. The following four-step screening process helps ensure that each All Trust employee is worthy of your trust. The TRUSTworthy badge of honor clearly differentiates All Trust caregivers from independently contracted, employment agency or other agency staff. gentle with Aunt Mary. I appreciate all the time it took to arrange her schedule. I will recommend you to anyone in our circumstances. "